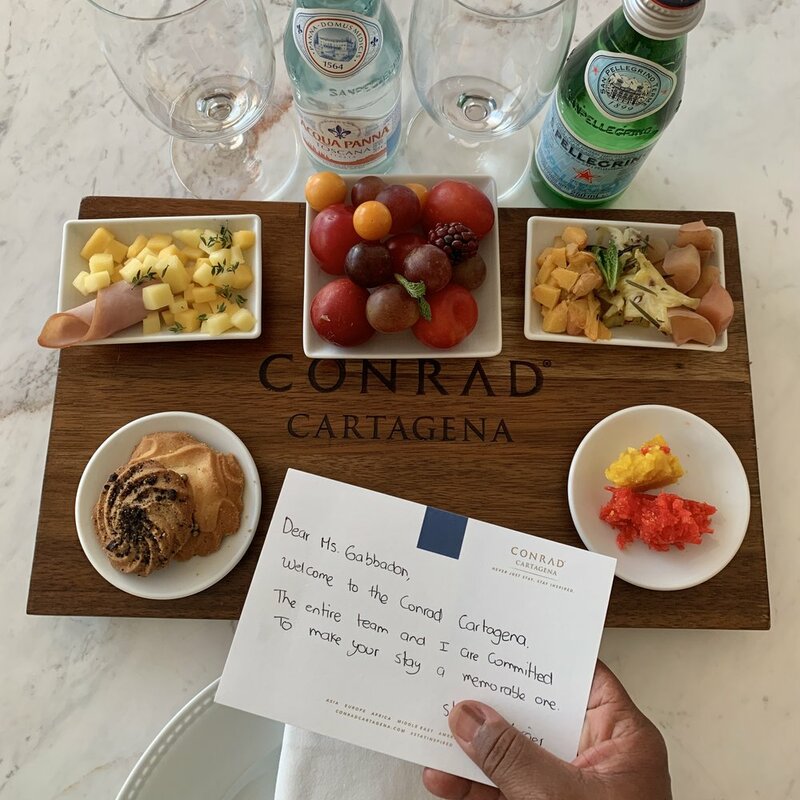 Late last year I traveled to Colombia for the first time, to check out the Conrad Cartagena as research for a resort review in the U.K.’s Telegraph. But there’s nothing like seeing the resort for yourself, right? So here are some custom images I shot of the sleek 268-room playground on the country’s northern coast. All of the resort’s art is by Colombians. And these busts of palanqueras (black women from a town south of Cartagena), which have pride of place in the lobby, were my favorite pieces. 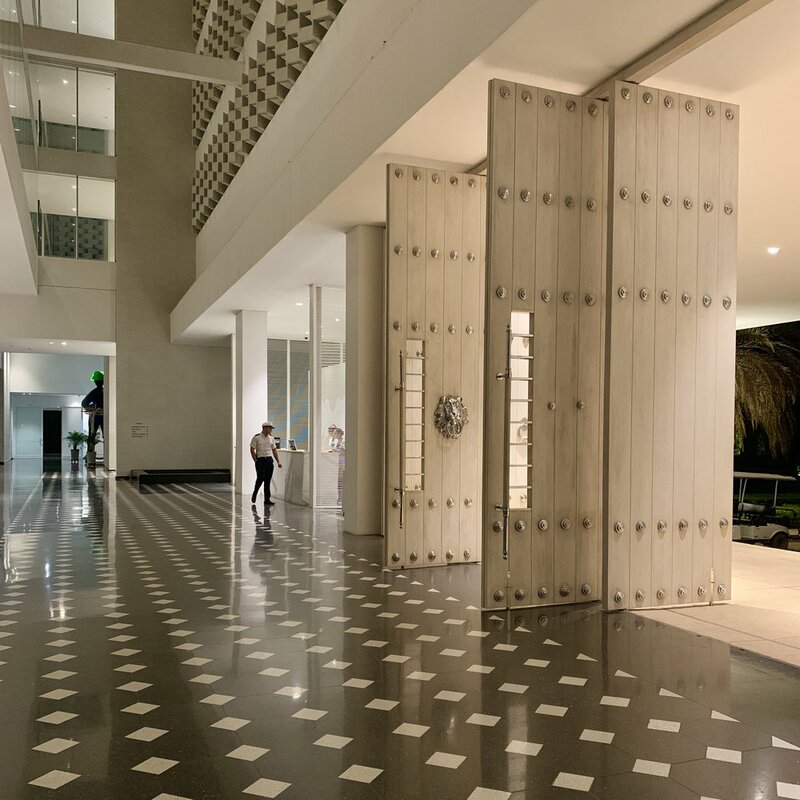 I loved how the huge lobby doors reference the architectural style of Cartagena’s colonial Walled City, just a half-hour’s drive away. If you’re a pool person, this is your resort! Rooms have a neutral color scheme and contemporary sensibility – and all 268 are decorated with local art. Three minutes’ golf cart ride from the main building is Karibana Beach Club, where you’ll find a small cove, an oceanfront pool and a palapa with your name on it. There are seven restaurants. At the beach club’s, this seafood-and-rice dish was a lunchtime highlight. The spa has 10 treatment rooms (some of them outdoors) and its own pool. Relaxation starts here, in this tranquil poolside lounge. 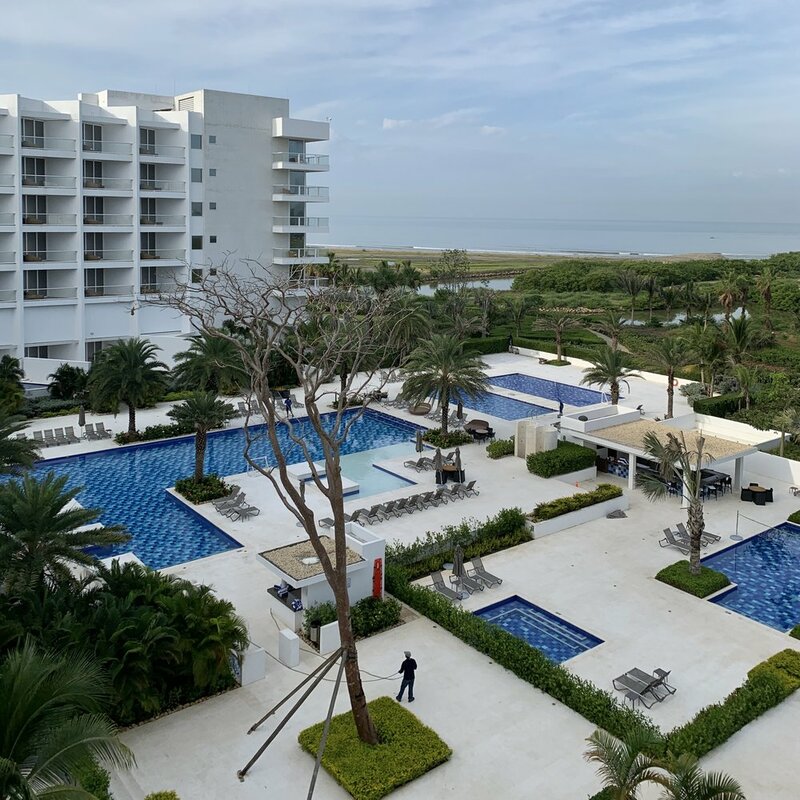 And, since you KNOW I couldn’t leave without making a video of my experience, here’s a four-minute tour of the Caribbean’s only Conrad resort. Have I piqued your interest yet? Get the full scoop on the resort when you read my Telegraph review. Just click on the photo for all the nitty-gritty!